regardless of age or circumstances. and say something, to make the animal be SEEN. You may be their only hope and salvation. 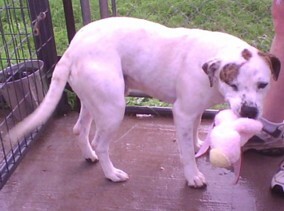 and used only by True Blue Animal Rescue and the authorities as necessary. We understand your concern for your safety. Popeye had been shot and beaten with a golf club. If, after working with the owner, no improvement is seen, the animals may be seized by law enforcement and the owner taken to court at which time the court may award the animals to True Blue Animal Rescue. If you believe you know of horses or other equines who are being abused or neglected or dogs who are being abused or neglected, please complete our Abuse/Neglect Form and send it to us via email or regular mail. We will take the appropriate steps to investigate the claim. You may have heard it before in response to the question “Why is that horse so skinny?”, “Oh, he’s just old”. It’s a myth. Old horses are not supposed to be skinny. If they’re skinny, then something is WRONG. Horse feed and care has improved so much in the last 20 years that horses easily live into their late 20’s and 30’s with some living to 40 and beyond. And they can and should look like healthy horses. If they don’t, then a number of factors need to be considered. Dental Care – Horses of any age need to have their teeth checked yearly during their annual veterinary exam. Older horses should be check twice a year. Horse’s teeth get sharp points that, if not filed down, cut into the horse’s gums and cheeks, causing bleeding and making it painful for the horse to eat. 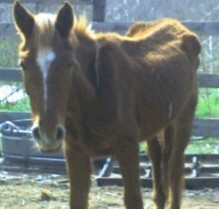 Horses have starved to death because it’s too painful for them to eat enough food to keep up their weight. Poor teeth also affect proper digestion. Some older horses have lost a number of their teeth and can no longer effectively eat hay or grains. They require a “complete” feed – these feeds are designed to be easily chewable and digestible and contain the fiber and grain (in simple form) necessary in a horse’s diet. Horses with poor dentition may also require their feed to be soaked in water, allowing them to better chew and swallow their meals, without spilling the grain onto the ground. Proper Nutrition – Older horses often cannot absorb calories like they did in their younger days. The nutrient demands of a geriatric horse are actually higher than those of a growing horse. Senior feed is designed for this purpose. These easily digestible feeds are designed specifically for the older horses, so that their bodies may absorb as much of the nutrition as possible. Additional calories can be added in the form of soaked alfalfa cubes, soaked beet pulp, and corn/vegetable/rice oils. These inexpensive supplements can add needed fat to a horse’s diet – especially in the winter. Remember to make all diet changes gradual and introduce oil ¼ cup at a time – with a maximum of 2 cups per day. Feed the senior horse away from more aggressive horses or feed separately, allowing them to eat their entire special ration. Is your horse underweight? A good rule of thumb is to be able to feel the ribs but not see them. A little extra fat going into winter is acceptable. Routine health care – Crucial at this stage of life. Older horses’ immune systems weaken and can be more susceptible to infectious diseases. The senior horse should have a physical exam and be vaccinated annually. Keeping your senior on a regular de-worming schedule will also help to keep him or her healthy. Every 8 weeks, rotating product. Joint supplements containing glucosamine, chondroitan and MSM can help the older horse’s mobility and comfort. Adequate and appropriate exercise – One of the best ways to help horses with stiff joints is movement. Exercise also maintains muscle tone, mobility and flexibility. Allow more time for the senior horse to warm up and cool down to prevent injury. Observation – Know your senior horse. Older horses are prone to colic, diarrhea, choke, heaves and tumors. Watch for changes in behavior, attitude and body condition. Monitor appetite, manure production, and water intake on a regular basis to get a good feel for what is “normal” for your horse. If older horses are being fed a proper quantity and quality of feed and have had dental care; but are still thin, it is time to consult with your veterinarian to determine if there is some cause for the poor body condition. 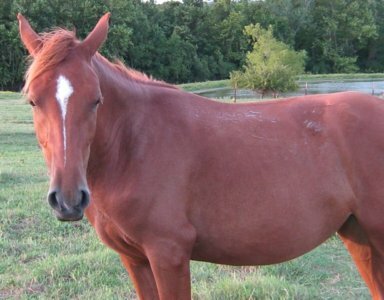 Like older humans, older horses are prone to many diseases which can need special care or treatment. With proper nutrition, dental care, routine health care, exercise and observation, older horses can live long, healthy, happy lives; and don’t have to be skinny. Remember, just like an older person, if an older horse is underweight, something is wrong! 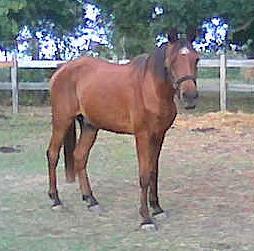 This article is an outline for Senior Horse Care and is provided as a public service. 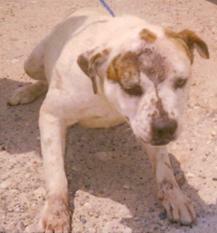 For a printable version of this article, go to the True Blue Animal Rescue (TBAR) website at www.t-bar.org. For more information on caring for the senior horse, contact your veterinarian or email TBAR at help@t-bar.org.